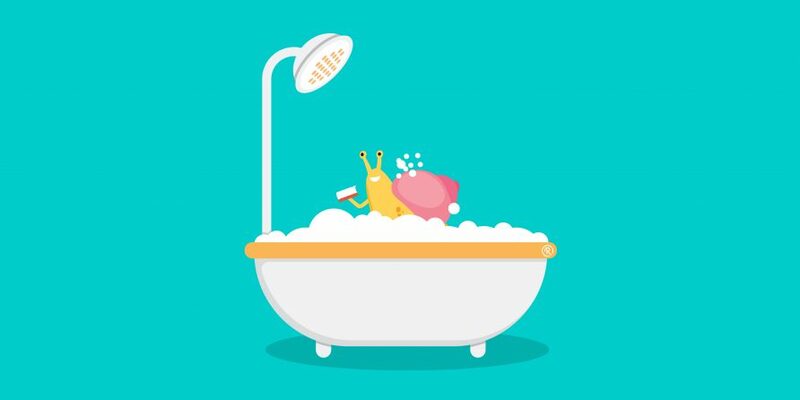 Scrub-a-dub-dub, Emails in a Tub: What’s Email Scrubbing and List Hygiene? Welcome to the world of email list hygiene. If yours is anything like most businesses, you’ve spent plenty of time (and money too) on finding better and better ways to amass subscribers. Custom landing pages and opt-in forms, improved email design and commissioning/creating engaging content are all great. In fact, your emails might be what email marketing pros dream of. But it doesn’t mean much unless you factor in email list hygiene too. No, you don’t need rubber gloves and Fairy liquid. Email scrubbing is shorthand for deleting any addresses from your subscribers list that are either clearly invalid, or don’t engage with what you send out. You metaphorically ‘scrub’ them from your database so that you don’t waste your time emailing them. Well; in truth it’s less about wasting your time, and more about helping to make your email marketing stats more accurate and actionable. Let’s say you have 100 people subscribed to your newsletter. Around 10 typically open it. That’s an open rate of 10% (obviously). Now, you could inflate that subscribers list with another 900 invalid, incorrect or made-up email addresses if you wanted to. If, as usual, 10 of your real subscribers opened your email that would now be a 1% open rate. Same content, same formatting, same audience, different stats. All of a sudden, your decent content and effective strategy looks bad, not to mention that you need to pay for more emails than you need. That’s exactly why you need email scrubbing. So, which email addresses should you look to get rid of? Unengaged subscribers are exactly what they sound like. They’re the people who maybe opened one or two emails to begin with, but haven’t even glanced at one in a long while. Perhaps they mark them as read, delete them, or even list them as spam. Most businesses give these people a chance with one or two ‘last hurrah’ emails- a final chance to reconnect. It’s easy to set up a rule in your CRM to send an email like this out. This could be after somebody doesn’t open an email for six months, a year, or maybe even longer. But if they don’t open this one, it really is time to move on! Incorrect email addresses are, in a way, a subset of unengaged subscribers. They’re the addresses of the recipients who had never, ever opened an email from you and have never been in touch. Maybe the person wrote their email out incorrectly; maybe they don’t use that particular address anymore. Either way, there’s no point sending emails to an incorrect address, so these are an automatic delete. Again, use the readily available stats in your CRM or email newsletter client to determine which addresses fall into this category. Here’s an obvious one. If you’re sending emails to an invalid address, well, there’s nobody reading them and there never will be! It’s fairly easy to tell if an email address is an invalid one. Does it follow the correct format, i.e. [name]@[email_client]. [domain suffix]? Is it missing one of the essential parts of the above format? So, for example, ‘jeremy@hotmail’ is invalid. So is ‘@hotmail.co.uk’ on its own. Does it contain an invalid symbol, like a hashtag or a smiley face for example? Invalid email addresses are another automatic delete, although if it’s an obvious error- something like ‘johnsmithhotmail.co.uk’- it might be worth trying to send an email to the probably correct address (in this case, ‘johnsmith@hotmail.co.uk). Your email marketing stats. Who opens what? Who clicks through the link at the bottom of each newsletter/email? Who hasn’t opened any of your emails for years? There are also plenty of stats that you can use like bounce rates and undelivered email rates, which are key to identifying whether an email is invalid or not. To learn how to manage your subscribers list using your CRM. Most CRMs offer you the functionality to change records, delete records or add records in your subscribers list. This can also be a feature of marketing automation. So all you have to do is access your stats and see who’s doing what. It’s up to you how ‘strict’ you are with the ban hammer; maybe you stop emailing a particular address if they don’t open your emails for six months. Maybe you prefer the idea of deleting them after two years. Whatever works for you! So then: email scrubbing is great and all, but which approaches consistently work the best? Let’s take a look. The more data you use to make your decision on when to cut someone from your list, the better. Let’s say you’ve been sending out special offers through email for six years now. That’s plenty of time to amass plenty of data about your subscribers. So, for example, do they tend to engage with every email or with every tenth email? If the open rate is low but consistent over time, you should be more lenient when scrubbing records. If your open rate is high but your re-engagement rate is low once a subscriber stops opening your emails, you can afford to be more strict. So the more data you use to make your decision, the better. As a postscript: it’s far, far better to use your own data than data for your industry as a whole. Maybe your industry as a whole has a higher open rate than your business; but that could be due to myriad factors from the kind of audience you target to the kind of content you send out. 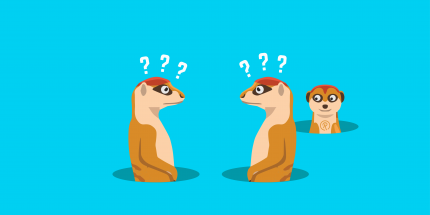 General observations on industry standards aren’t necessarily going to apply to your business. Email scrubbing isn’t a one-time thing. Much like A/B testing, it’s something you should look to do on a regular, maybe even continual basis. A good rule of thumb, again, is to keep an eye on your stats. If you notice that your open rate is gradually but steadily going down, down, down then that’s a sure sign that your subscriber list is getting bloated with unengaged or incorrect addresses. The root cause is the unavoidable fact that 25% of people change their email address annually, which applies to both business and personal addresses too. Of course, you still have to have good email engagement rates, and good content will always help with that. But aside from investing in better content, the best way to keep on top of that decline is regular scrubbing. You can use CRM tools to check email bounce rates in just minutes, so it needn’t take long. Depending on the length of your list and how much thought/analysis you put into ‘scrubbing’ a particular record, scrubbing could be an end-of-the-month exercise or regularly scheduled each six months. So, once you get rid of invalid and incorrect email addresses, there’s still plenty left to do. In the past, has it been common for a relatively unengaged subscriber to re-engage after a year? Two years? More? If so, you might want to spend less time thinking about email scrubbing and more time thinking about what made them re-engage, and focusing your content on that. Your example email scrubbing policy might then be to send these particular emails to each unengaged subscriber for six months before only then deleting them from your list. …And there you have it: everything you need to know to get started with email scrubbing. It’s not exciting; it’s not groundbreaking. It’s maintenance, or you could call it a ‘tune-up’. But without maintenance even the biggest, most expensive and most powerful machinery can grind to a halt. So if you’re not ‘scrubbing’, maybe it is time to put in a little elbow grease!